Sell Used & Buy Refurbished gadgets! Microsoft was a hit among the users until the failure of the Lumia series. Majority of the users didn’t find the devices in the Lumia line up to be handy but you also have a few people who were addicted to that interface. Sadly for the people who are fond of the windows interface, the Lumia series is not seen to be making a comeback in the near future. Ever since the Lumia line up was discontinued, Microsoft didn’t play any prominent role in the smartphone industry. Now there are rumours that Microsoft is back on track. We had many reports on the Surface phone by Microsoft but the company officials are all zipped. At this time it is expected that Microsoft will make a comeback with an Android-powered smartphone. As we all are aware that Microsoft might wind up its Windows phone Support so we are pretty sure that the next smartphone will not be one of those Lumia devices. Even after all these rumours, there are no official statements being made. It is still a doubt if the next device will be introduced in the Surface line up, as Surface Phone is so called in “development” for a long time now. A Microsoft representative has stated that the engineering team in the company is working very actively on a new line of smartphones. There are screenshots of text conversations which reveal that the new device will not be launched in the Lumia line up, but we are not sure that the Surface Phone team is developing it or not. The only perfect information we have is that the new edition of Android-powered mobiles will be available at Microsoft Store. The screenshots which were shared online reveal that the Microsoft representative is clearly admitting that the engineers of the Windows Phone are working to launch a new model. Although, the representative not ready to disclose too much information regarding the type of the model that the company is going to release, but he confirms that the released devices will run on Windows 10. These devices are also said to be running on Android OS. 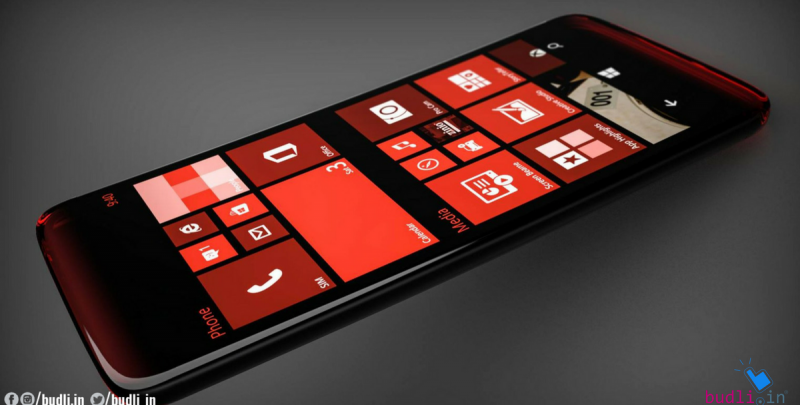 As we all are expecting a new device from Microsoft, we should not be surprised by the rumours of the launch. The only thing to keep in mind is that we still do not have any official word from the company. So we have to wait until the official announcement. Are you someone who wants a change of technology frequently? Then you must have been spending a lot of your money on the gadgets itself. Here is budli.in, budli is the leading online store for refurbished gadgets. Budli has plenty of gadgets to suit everyone, any brand, any model you will find it on budli. Head to budli.in to experience a new way of shopping for electronics. Budli is the only site that would offer such amazing discounts even on brand new models. You are sure to be swept off your feet once you start your journey with us. Get on board with us at budli.in. Do you want to sell your old laptop? "I sold my Note 1 and Samsung Wave 3 model to budli. Thier response time was amazingly prompt and the overall experience with Budli was hassel free and seamless, I definitely recommend Budli to all those interested to exchange used mobile for cash. They give you the best price for your old mobile phones. Excellent service. Keep it up." "superb service and awesome price finding. recomended for all looking for selling old/used gadgets." "Amazingly quick.. Great experience to deal with BUDLI.IN." How to buy Swipe tablets for low price in India?